Filming will be getting underway in January, 2017 on the Marvel Studios superhero films “Avengers: Infinity War” and it’s “Untitled Avengers Movie” sequel. There are now two open casting calls scheduled for December 10th and December 11th at the Pinewood Studios in Atlanta, GA. Men and Women of all ages and types are needed. 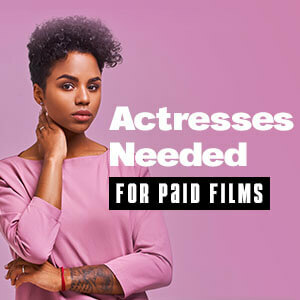 There is no experience necessary, and the work is for extras, stand-ins, photo-doubles, and possible featured roles. You do need to have legal eligibility to work in the entertainment industry in the state of Georgia, where filming will take place beginning in January, 2017 and will continue all the way through the end of 2017. Both “Avengers: Infinity War” and it’s “Untitled Avengers Movie” sequel will be filmed shot concurrently at the same time. The open casting call details are posted below. Note: Both films are using the working title of “Mary Lou” (a working title for films is title ruse practice by studios in which a high-profile film is given a fake working title to keep its production a secret, to prevent price gouging by suppliers, and to avoid undesirable attention. Starring in “Avengers: Infinity War” is BAFTA Award nominee Chris Hemsworth as Thor, Academy Award nominee Josh Brolin as Thanos, Saturn Award Winner Chris Pratt as Star Lord / Peter Quill, Teen Choice Awards nominee Sebastian Stan as Bucky, four-time Golden Globe Award nominee Scarlett Johansson as Natasha Romanoff / Black Widow, Academy Award nominee Benedict Cumberbatch as Dr. Stephen Strange, Academy Award winner Brie Larson as Carol Danvers / Captain Marvel, ALMA Award winner Zoe Saldana as Gamora, Empire Award winner Karen Gillan as Nebula, two-time Academy Award nominee Jeremy Renner as Clint Barton / Hawkeye, two-time Saturn Award nominee Chris Evans as Steve Rogers / Captain America, BAFTA Awards nominee Elizabeth Olsen as Wanda Maximoff / Scarlet, four-time Academy Award nominee Bradley Cooper as Rocket Raccoon, Screen Actors Guild Awards nominee Vin Diesel as Groot, Academy Award nominee Samuel L. Jackson as Nick Fury, Screen Actors Guild Awards nominee Paul Rudd as Scott Lang / Ant-Man, British Independent Film Awards nominee Benedict Wong as Wong, Action on Film Award winner Dave Bautista as Drax, BAFTA Film Award nominee Paul Bettany as Vision, Santa Barbara International Film Festival Virtuoso Award winner Chadwick Boseman as T’Challa / Black Panther, three-time Academy Award nominee Mark Ruffalo as Bruce Banner / The Hulk, and two-time Academy Award nominee Robert Downey Jr. as Tony Stark / Iron Man. Primetime Emmy Award winners Anthony and Joe Russo are directing “Avengers: Infinity War” and “Untitled Avengers Movie” from screenplays written by Primetime Emmy Award winners Christopher Markus and Stephen McFeely. AFI Award winner Kevin Feige is overseeing production for Marvel Studios. Executive producers are Visual Effects Society Awards winner Victoria Alonso, Primetime Emmy Award nominee Jon Favreau, along with Louis D’Esposito, Alan Fine, and three-time Hugo Awards nominee Stan Lee. “Avengers: Infinity War” is scheduled to hit theaters on May 4, 2018 and “Untitled Avengers Movie” is set for a May 3, 2019 release. Walt Disney Studios will handle domestic and international distribution. You can show up either day at any time between 11:00am – 4:00pm. You will need to fill out employment forms. Be prepared to have your photo taken. Show up either at 10:00am sharp, OR at 2:00pm sharp. You will need to fill out employment forms. Be prepared to have your photo taken. Starring and supporting roles for “Avengers: Infinity War” are mainly being cast through talent agents in Los Angeles and Atlanta. However, if you are not signed with an agent and wish to self-submit, I highly recommend that your 8×10 color headshot and resume along with the cover letter be sent in a 9 x 12 Clear Full Face Window Envelope with the photo visible in the window.